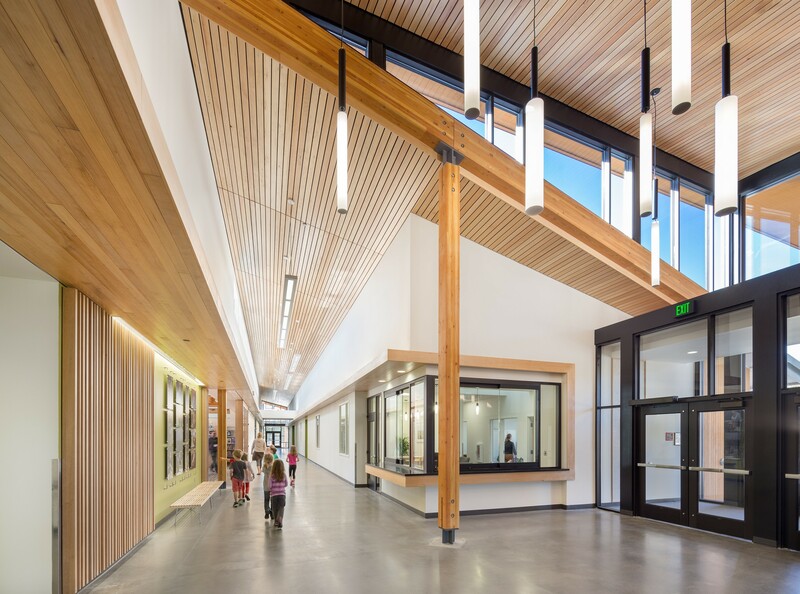 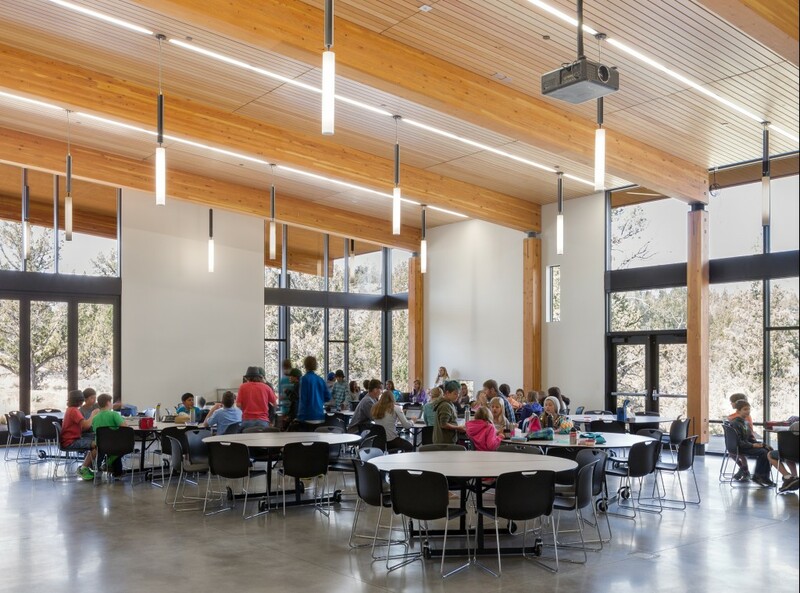 Hennebery Eddy designed Cascades Academy of Central Oregon with a focus on the site’s natural environment. 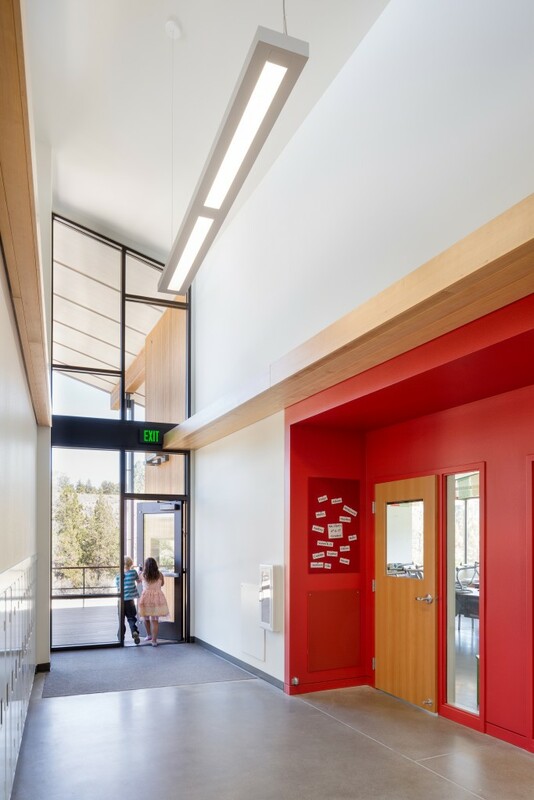 Differentiated by distinct wings, interior spaces flow into one another, and beyond, to Oregon’s high desert landscape. 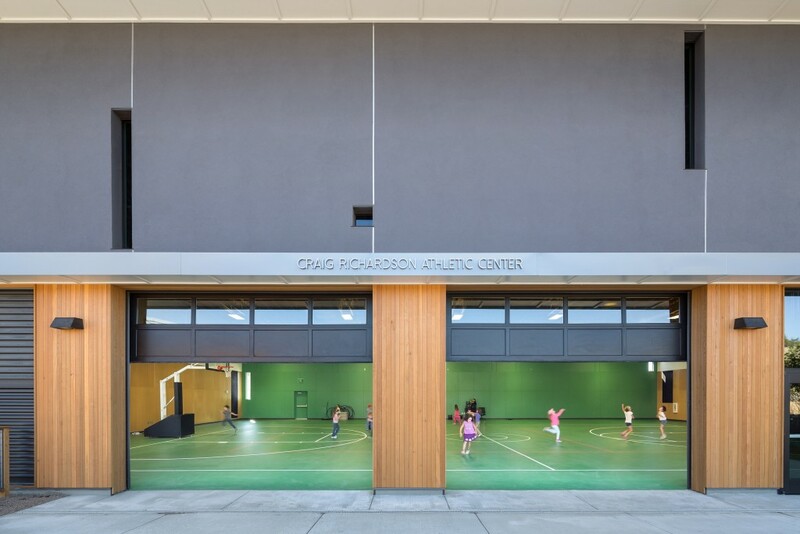 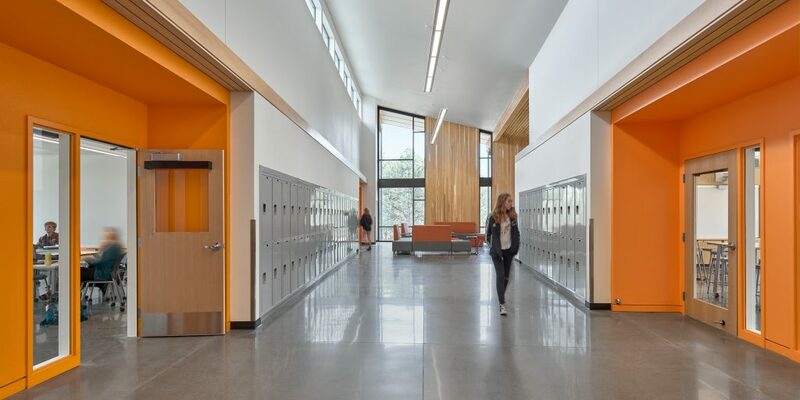 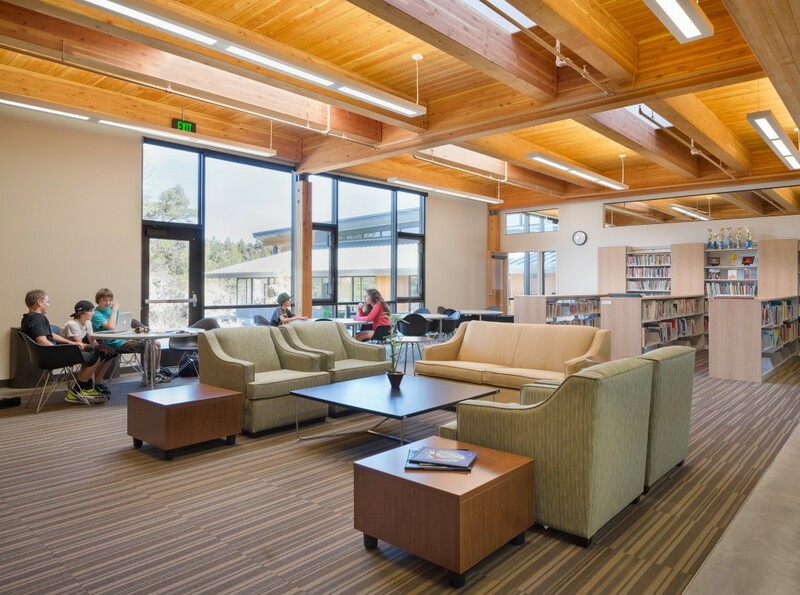 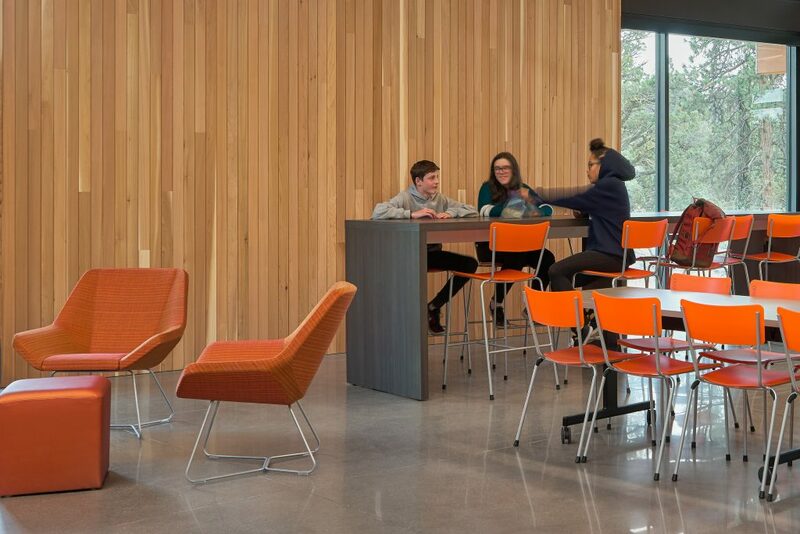 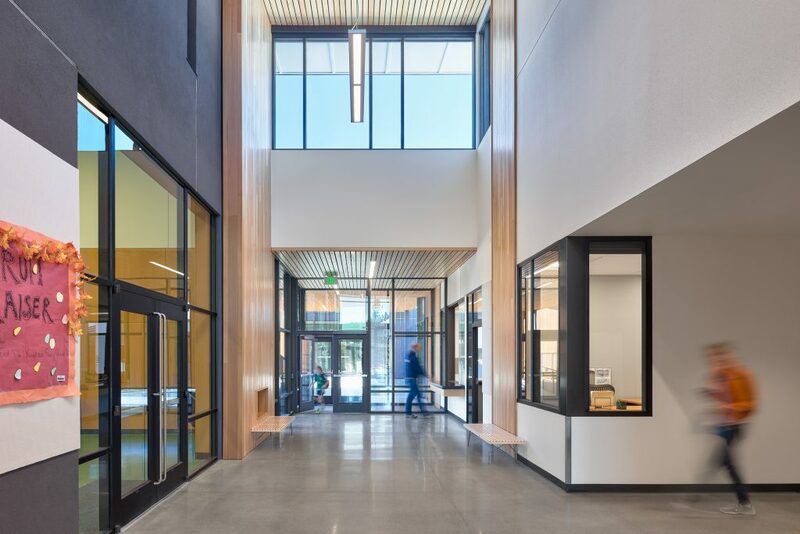 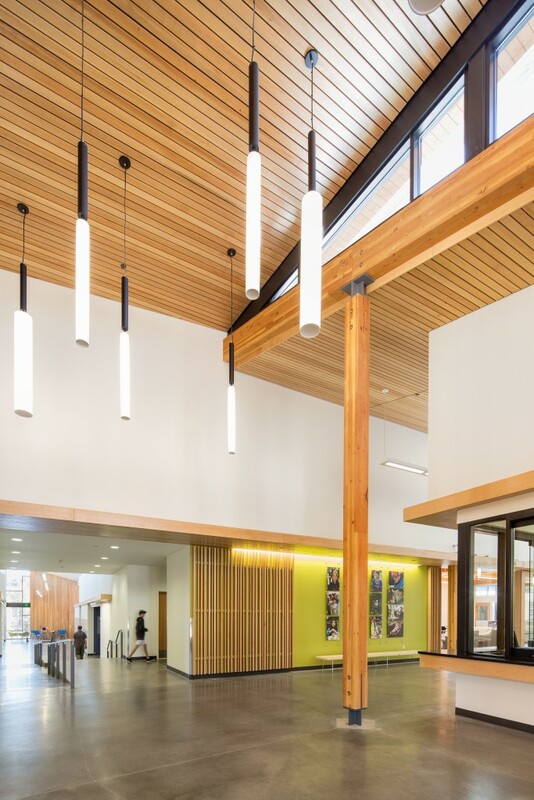 The library opens to the main corridor, connecting visually and spatially with the commons, which features a hearth space for gathering and socializing; the commons extends out to the canyon, and the gymnasium floor reaches to touch the forest floor. 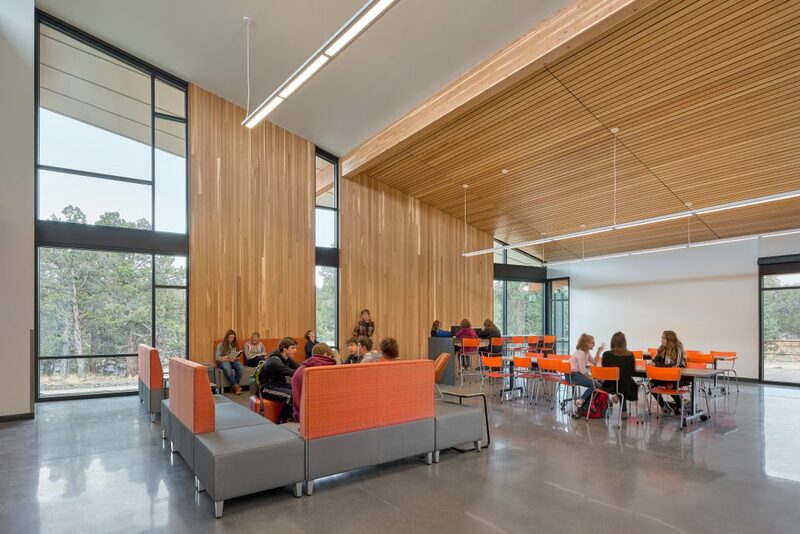 Interior finishes complement the site and building and activate spaces. 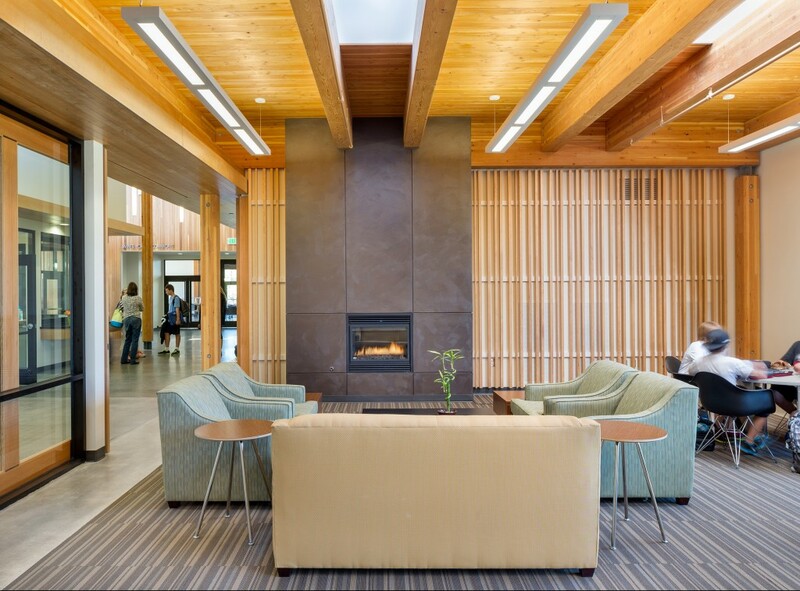 Cedar wall panels and fir doors provide warmth and texture, giving the space the feeling of home. 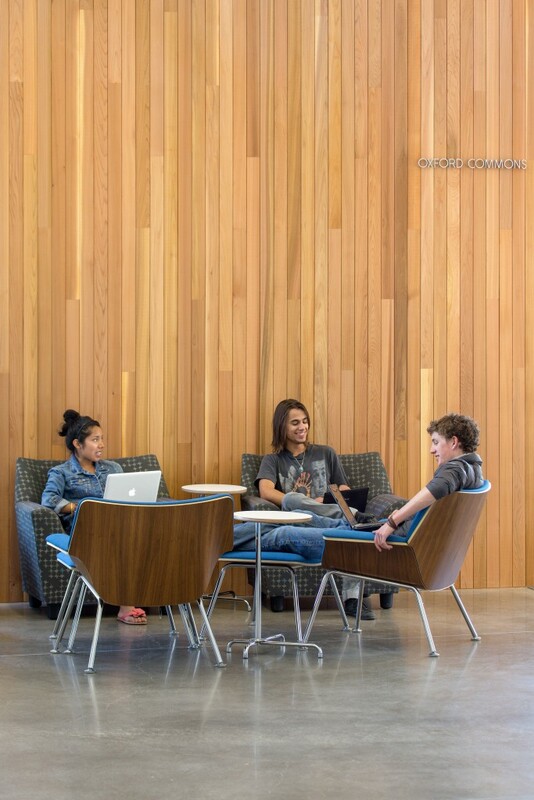 Economical and durable polished concrete floors meld into the dusty desert terrain. 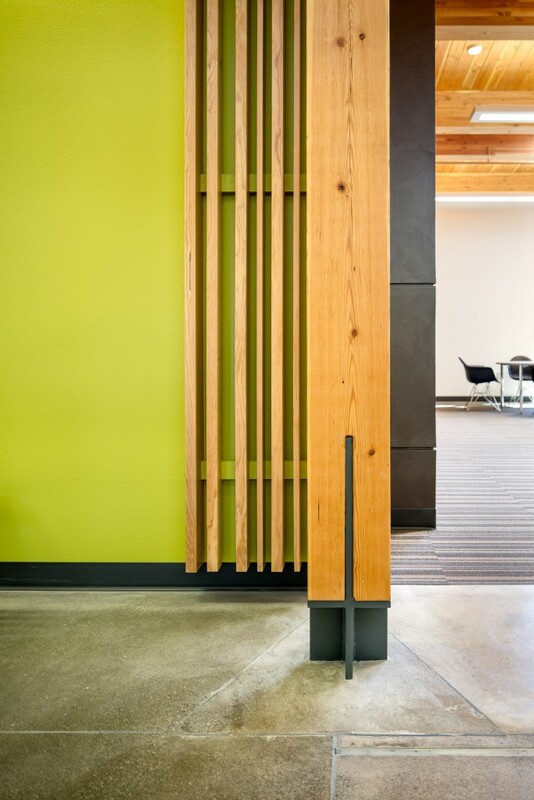 Inspired by surrounding vegetation, bold interior accent colors, fabrics, and wayfinding devices provide comfort and ease of use. 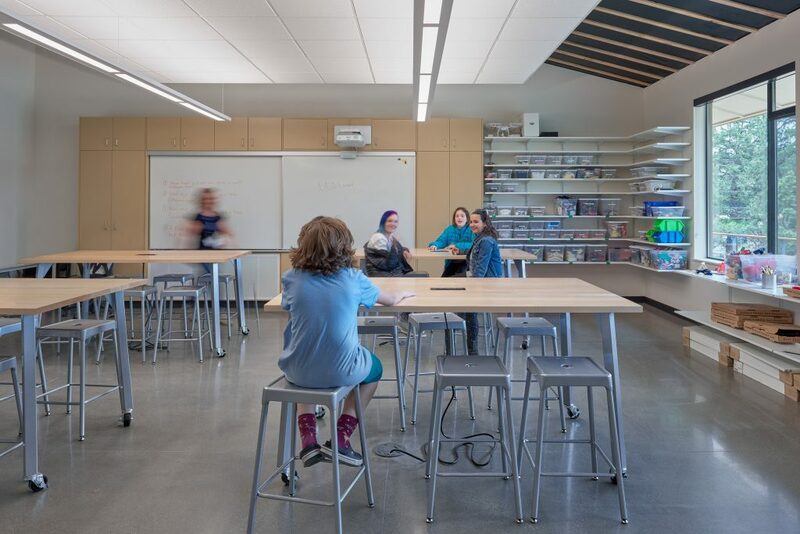 Classrooms and meeting spaces are configured to respond to a variety of set ups and allow the teachers to deliver curriculum interactively via a variety of setups and SMART boards.